It seems everywhere you look a certain bigfoot video has taken the world by storm. The Mission, BC video. In case you've been living under a rock, here it is. Twenty seven seconds of something dark and walking around on two legs on a distant hill top. In the short amount of time the video has been out, it has already received well over a million views, and media attention from around the world. The bigfoot community has been debating back and forth about the authenticity of the video since its release. My question is "Why?" The video itself is certainly nothing to write home about. There have been many other similar videos in regards to clarity that are thrown in the bone pile after first glance. There is no real way to discern if it is a bigfoot or a person in a suit from the video itself, and we are left with the usual questions that surround these type videos that are typically labeled as "hoax". 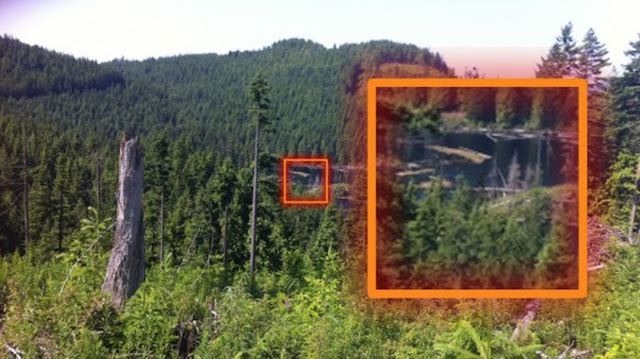 The background information is this: "A couple were hiking on a logging road above one of the lakes in Mission, BC, when taking photos of the scenic views they spotted something moving." So where's the couple? Why did they only film 27 seconds? Where's their photos they were taking? Is there any evidence to support this story? Of course not. There is however, evidence of something else at work. A viral marketing campaign. This video was posted by the YouTube account "LegendTracker". 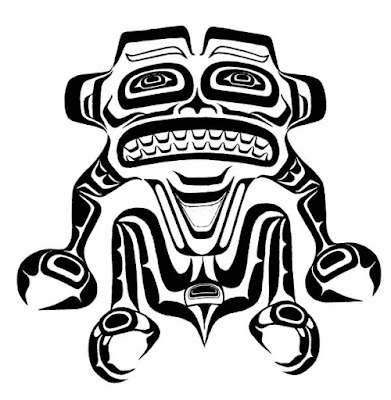 The owner of this account is a company called QuestUpon, and Legend Tracker is a name of a mobile app they designed to promote local businesses in the Mission, BC area. Basically the app puts a digitized bigfoot overlay on the camera screen of your smartphone, and allows interactivity through geo-caching with local businesses. 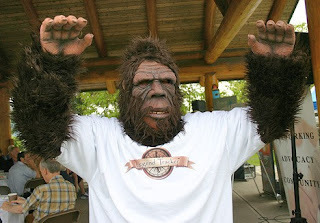 The company used Sasquatch as a marketing tool to draw tourism to the community of Mission, BC. What better way to do that than post some anonymous videos of our big hairy friend in the area. In fact, here's the story from their website. The makers of a new smartphone app are hoping the elusive Sasquatch will draw visitors to Mission and in the process spend a few bucks at local businesses. Legend Tracker, a new app available at iTunes and Google Play, is an interactive geocaching game designed to bring visitors to Mission businesses as they search for local “legends,” collecting gold coins and tools to help them along the way. The app is part GPS, part video game, and part social media, explained PlayMobility inventors Tammy Meyers and Miles Marziani, at the Mission Regional Chamber of Commerce Monday. “Everyone has a different experience that they want to get out of it,” said Meyers, adding this is an app that isn’t just played in the home, it gets families out and about as they search for legends. Although there are about 1,200 legends worldwide, it will take some time to add them all. 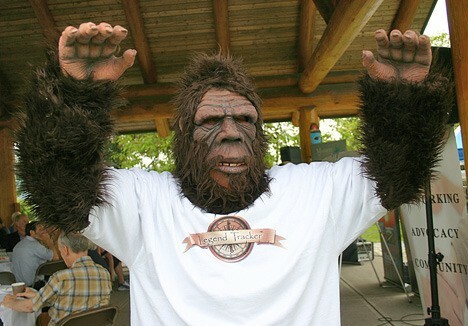 For now, Legend Tracker has legends like the Sasquatch for the Fraser Valley and Ogopogo for the Okanagan, with businesses already signed up to be a part of the gaming experience. Businesses can register with Legend Tracker to be an official “treasure marker”, which not only promotes the business on the interactive map, but gets potential customers to visit. The idea has so far convinced Canadian Tire in Mission to come on board. “Smartphones put fully interactive digital billboards in your pocket,” said Meyers, who provided statistics indicating traditional forms of advertising are declining with the rise of hand-held computers. Marziani said that users will find it fun to not only collect “treasure” and gain rewards, but provide families something they can do together. Once a user finds a treasure marker, they can scan it with the app and it will appear on their device in 3D using a special interactive “augmented reality technology” function. That treasure marker can be custom designed to fit the business. The app can also work as a straight-up ecommerce tool as well, since partnering businesses can feature “legendary deals,” providing discounts and special offers to customers who visit the business through the app’s recommendation. The gaming function becomes more interactive as more people download the app, since more people are competing for treasure and looking for the legend. Marziani has also programmed in enemy eagles who swoop down and try and steal your gold coins. Ultimately, the inventors believe businesses can offer a grand prize to winners who capture a legend. But doing that isn’t as easy as it sounds, since the virtual Sasquatch is constantly moving. Legend Tracker is available now on iTunes for iPhone and Android. Visit www.legendtracker.com for pictures and information. This isn't new information however, Phil Poling of ParaBreakdown cracked this case almost as soon as it came out. LegendTracker had released another video prior to the above one, where a group of Chinese tourists shot video and photographs of a bigfoot creature going about his business just off the roadway they were on. Apparently bigfoot is unaffected by large groups of people taking videos and photos from a short distance away in broad daylight. Funny how they remained elusive for so long prior to this. Of course the video raised a few flags immediately because of this aspect, as well as the fact that there were no other videos or photos released of this instance, and once again, the person only filmed for a short period of time. You can watch Phil's breakdown of this video, as he uncovers the true source and motives behind these marketing tools below. What exactly is that bigfoot creature doing you ask? Looks like he might be geo-caching. "This photo was submitted anonymously to us at Legend Tracker. The person states they thought they were watching a bear until they noticed it was walking on two legs." Apparently bigfoot creatures are filmed regularly in the area of Mission, BC. I realize it's difficult to tell from the above photo with the amazing resolution and clarity it displays, but in my opinion this seems to be the same location that the two hikers filmed their bigfoot, just a slightly different angle. You can use the landmarks in the photo and see if you agree. So with all these strikes against it, why the publicity? 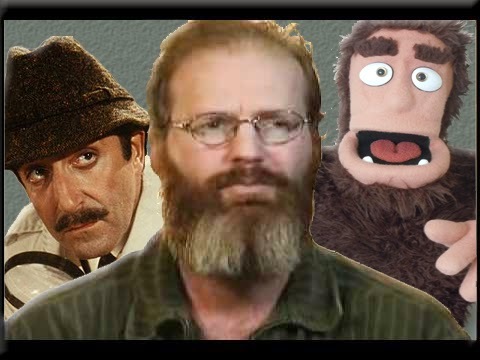 Why the debate among the bigfoot community? Because people want to believe. They want to believe so badly, they are willing to overlook the obvious answers. For some of us however, a desire to believe just isn't enough. And to the fine folks behind the Legend Tracker app. Well, you just can't buy this type of publicity. Congratulations. Don't forget to check out the great videos on the Parabreakdown YouTube channel. Be sure to subscribe! Well now that FOX has gotten a hold of this, we are sure to get many more postings and views. Oh well - what else do we have to do? Your post is extremely helpful. I will keep following On Promoting Mobile Apps. Thank you for sharing this information. Generally I do not read article on blogs, but I wish to say that this write-up very compelled me to check out and do so! Your writing style has been amazed me. Thanks, very nice post. Great tips and very easy to understand. This will definitely be very useful for me when I get a chance to start my blog. Thanks for sharing such a great content with us. Brillaint work with awesome events conducting. Happy to see your last event and appreciating audience. Your site is really nice and unique. This is one of the best idea that you had come up for the children and I do hope that they can have better future.